Jeffrey P. Fuller is the Founder and President of Jeffrey Fuller Fine Art, Ltd. which specializes in specialize in 19th and 20th century American and European works of art. Since 1979, it has mounted exhibitions such as Paul Cézanne: Works on Paper; Constantin Brancusi: Drawings and Photographs; Man Ray: A Retrospective; Pablo Picasso: Works on Paper; and Jasper Johns: Works on Paper. Our clients include collectors, fiduciaries, institutions and museums. Jeffrey graduated with a Bachelor of Arts degree in Classical Languages from the College of the Holy Cross in Worcester, Massachusetts and studied art history at the University of Vienna in Vienna, Austria. Certified in the appraisal of Personal Property and Fine Arts, Jeffrey is an Accredited Senior Appraiser of the American Society of Appraisers. Most recently, Mr. Fuller founded and is the principal auctioneer for Fuller’s Fine Art Auctions. He serves as a Director on the boards of the Arts & Business Council of Greater Philadelphia, the Senior Artists Initiative, and the Philadelphia Chapter of the American Society of Appraisers. Robert H. Louis is a senior partner in the law firm Saul Ewing Arnstein & Lehr. He is a 1969 graduate of the Wharton School of the University of Pennsylvania and a 1972 graduate of the Harvard Law School, and he has an LL.M in Taxation from Temple University. He is a Fellow of the American College of Tax Counsel, the American Bar Foundation and the Pennsylvania Bar Foundation, and a former Trustee and assistant treasurer of the Philadelphia Bar Foundation. Mr. Louis has a long history of service to charitable and bar-related organizations, having served as President of the Philadelphia Volunteer Lawyers for the Arts and the Senior Artists Initiative, Vice-President of the Spring Garden Soup Society, Counsel and Secretary of the Fund for the School District of Philadelphia, Chair of the Probate and Trust Law Section of the Philadelphia Bar Association, trustee of charitable foundations, and in active leadership of several local civic organizations. He is a frequent lecturer and writer on tax, estate planning and retirement issues. Zoriana Siokalo oversees an active museum education department that presents engaging public programs for adults, youth and families, and volunteers. 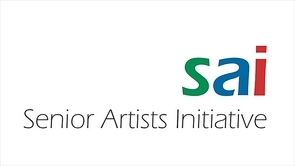 She implements partnerships with regional cultural institutions and social service agencies through programs such as Art Serve and Senior Artists Initiative. She supervises the Museum’s docent training program and oversees the volunteer, college internship and community outreach programs. She received B.A. from Rutgers University and M.A. from George Washington University in Anthropology/Museum Studies. Her 35 years of museum experience included Smithsonian Institution, American Swedish Historical Museum, Photography Sesquicentennial Project and Institute of Contemporary Art. She has served on numerous cultural boards, including the Senior Artists Initiative and the Museum Council of Philadelphia and the Delaware Valley and as evaluator for the Smithsonian Institution, PHC and NJ State Arts Council. Richard Weisgrau has served as Senior Artists Initiative’s Executive Director from 2010. He became a member of the Board of Directors and President in 2017. After serving in the U.S. Marine Corps he began a 20 year career as a professional photographer serving editorial and corporate clients. In 1988 he became the Executive Director of the ASMP-American Society of Media Photographers representing media photographers’ interests within the publishing and advertising industries as well as on Capital Hill. He testified at Senate and House legislative hearings on copyright and tax legislation and at Copyright office hearings on proposed copyright regulations. He represented ASMP at numerous industry events, and conducted a over 50 negotiating seminars for members of the creative community. In 2002 he semi-retired to begin photographing and writing. He is the author of 5 books about various aspects of the media photography business. His current endeavors include managing the SAI Website and videotaping artists for SAI’s Featured Artists Program and Museum Video Project.